Eliminate manual labor for handling heavy stacks with the i-Feeder. 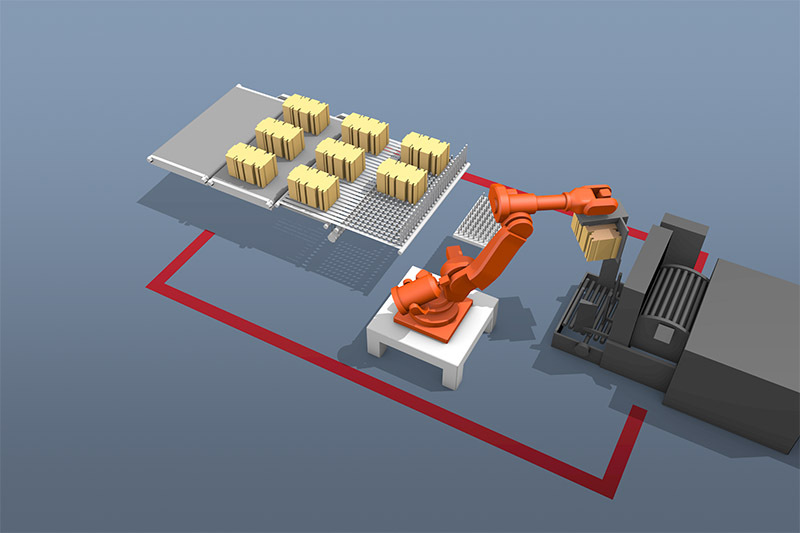 The working principle of the i-Feeder: The conveyor feeds the stacks onto the pick point. 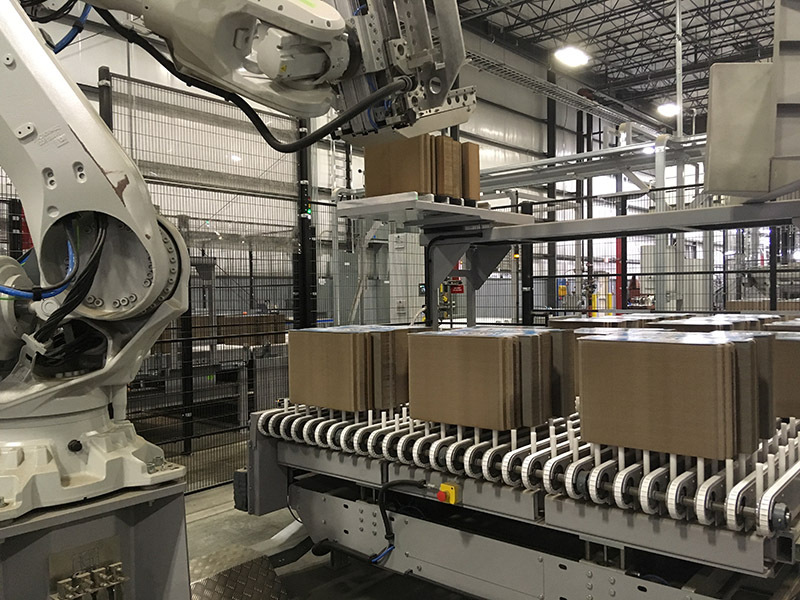 The pick point presents the stacks for the robot for pickup to pick up, square, then place into folder gluer hopper. The robot can orientate the stacks face up / face down.